The most frustrating thing about the hugely celebrated, Tony Award-winning Hamilton is the fact that there aren't endless tickets available. Seriously, thank goodness for Spotify — listening to the soundtrack from the comfort of your own home meant you could at least experience the cast members' gorgeous voices, even if you lacked the accompanying faces. But, with some of the most prominent Hamilton cast members going on to do bigger and more widely accessible projects, all that is set to change. 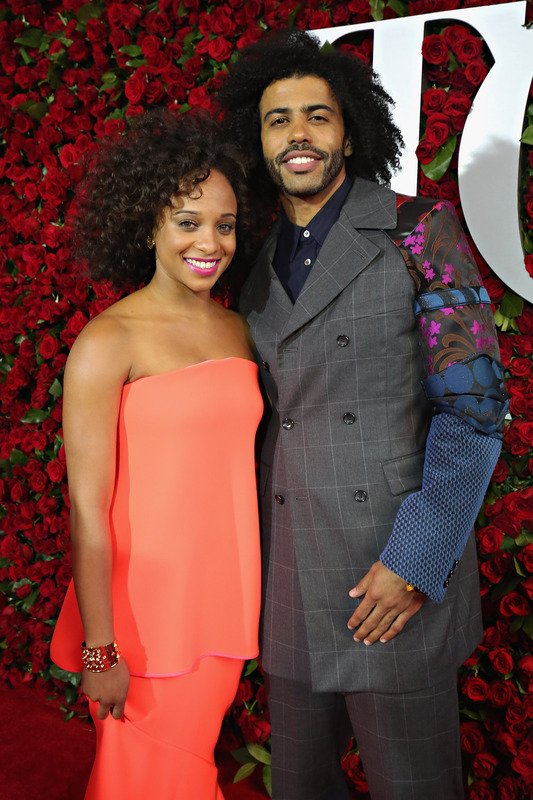 So, what is Daveed Diggs doing after Hamilton? He's set to hit the big screen in the movie Wonder, which is being directed by Perks of Being A Wallflower director Stephen Chbosky, so you might assume the film's going to be a feeling-tsunami. You wouldn't be wrong: it centers on a boy born with a facial deformity who is homeschooled until fifth grade and then starts going to a traditional school and has to deal with all the issues you'd imagine this presents (mostly rooted in the fact kids can be terrible to each other). Julia Roberts and Owen Wilson will star alongside Diggs, who will be playing English teacher Mr. Browne. Given the movie's themes, I wouldn't call it a leap of faith to assume that Diggs will be playing a character that journalist Monica Heisey has smartly summarized as "the magical English teacher." You know the deal: the teacher who changes his students' lives through a mix of heartfelt advice and incisive book recommendations. We've seen this character a lot over film history. Think Robin Williams' character John Keating in The Dead Poets Society or Bill Anderson in The Perks Of Being A Wallflower (another clue that Diggs' character might end up venturing into this territory). Still, the character is overused for a reason: it's a particularly satisfying one and it's true to life — who hasn't had a teacher that had a huge impact on them, regardless if they taught English or History or Physics? Given Diggs' emotional range and warmth, it seems like the ideal first major movie role for him. Of course, Diggs isn't the only one leaving Hamilton for other just as exciting projects: As for MacArthur "Genius" Award winner Lin-Manuel Miranda, who both penned Hamilton and played its eponymous role, he will be appearing in Walt Disney Pictures' live-action Mary Poppins Returns in which he'll be opposite Emily Blunt as a lamplighter. However, if you're a rabid fan, you're going to have to temper your excitement about this news with a little bit of patience: the film isn't projected to be in cinemas until 2018 since they'll only be starting to shoot this winter. Sigh! But hope this means the hardest working man on Broadway gets a well-deserved summer vacation. Meanwhile, fellow departing cast member Renée Elise Goldsberry, who showcased her talent for rap as Angelica Schuyler Church in Hamilton, will be starring in Netflix's Altered Carbon alongside The Killing Star Joel Kinnaman. The sci-fi series is set in the 25th century and explores a world where the human mind has been digitized and souls can be transferred from one body to another. Goldsberry was one of the last original cast members in Hamilton so while I'm psyched that we get to see her on the small screen, her departure is a little bittersweet. It turns out Hamilton isn't just a fantastic piece of Broadway, but a seriously potent entry for your résumé — Netflix, Disney, and playing alongside Julia Roberts in a movie? Legitimate proof Hamilton is the shortest possible route to superstardom.